Save $500 at the New & Improved Outskirts Press! Everyone likes a good make-over story. We’re all addicted to home improvement shows and look forward to seeing a newly designed home after the construction dust settles. We can’t wait to see a woman walk through a curtain, her hair freshly styled and wearing a dress she never thought she could. Even kids love seeing an old car on the road with a fresh paint job and new interior. Outskirts Press has decided to join the makeover movement. Now, if you haven’t yet published with Outskirts Press, you will see a fresh new look when you click on www.outskirtspress.com. We realized that if we were going to upgrade our look, we needed to upgrade your publishing process as well. While many people get excited about publishing a book, it can be daunting to wear all the hats of a writer, editor, graphic artist, book formatter, distributor, marketing expert, and royalty accountant all at the same time. …as well as many other features. 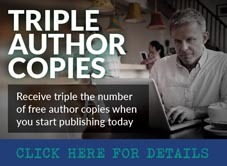 You’ll always have a personal publishing professional to help you every step of the way. We are so excited about the New & Improved Outskirts Press that this week we are inviting all non-fiction writers to experience our brand new One-Click Non-Fiction publishing package for an introductory offer of $500 off the normal price. This means that while other writers are spinning their wheels trying to do everything by themselves, all you need to do is enter code Save500Aug16 at checkout and have an entire team behind you, working toward the success of your book…while you relax and enjoy your discount. So what are you waiting for? Millions of people are looking for your book right now. The life of a self-publishing author often requires flexibility, multiple talents and the willingness to explore new territory, creatively. It’s what keeps a writer’s mind supple and endlessly productive. In no other author is that principle better demonstrated than Daru “D.J.” Mincy, this week’s spotlighted self-publishing author. Each week, we celebrate one of our successful authors in our Self-Publishing Author Spotlight. This week Outskirts Press proudly features Daru “D.J.” Mincy, author of several books, ranging from juvenile fiction to poetry to action/adventure, through Outskirts Press. 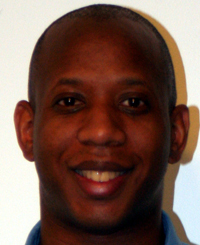 Learn more about “D.J.” Mincy and his exciting works in this week’s Self-Publishing Author Spotlight. D.J. Mincy has been writing for more than 20 years. He lives in Maryland with his wife and daughter. 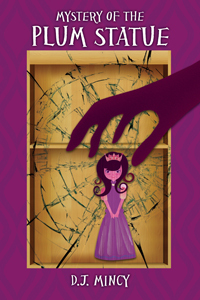 His daughter Ava inspired him to turn his years of writing experience to children’s books. 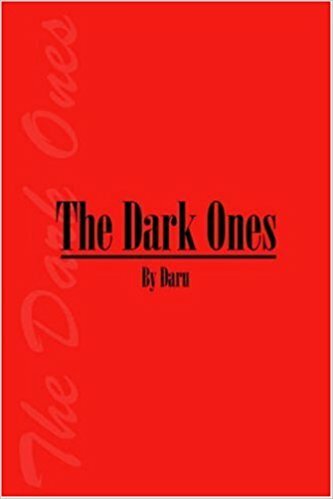 The Dark Ones is a poetic journey into the darkness of us all. 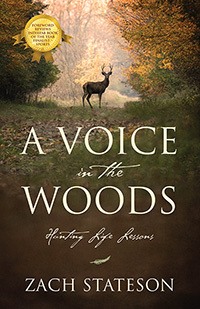 This book will take you into the hearts of the characters and the paths they chose. Morgan Beckett on her drive to work witness a man randomly kill several people on a major highway. Morgan escapes the mayhem of that day but is about to discover that mankind’s days are numbered. Morgan along with her brother and an unlikely group of new friends are faced with the destruction of humanity. They are on a quest to find the Tablets of Lucifer and battle the forces of evil, human or otherwise and save humanity’s soul. They will find strength in each other and from the most unlikely of sources in the darkest days of mankind. Towards the back of the store, a dim yellowish light could be seen. There were still some aisles left in the grocery store. At the back of the store, the silence was broken by a loud crash and laughter as the magical light swept through the last parts of the Safe and Fresh Grocery. The sound of the crash and laughter was coming from where the fruit, produce, and bakery section used to be. Near the fruit and produce in the bakery section were several overturned trays of pies and doughnuts. “Shh! You will wake up the bread,” a voice said in a hushed tone.The laughter stopped. “Yeah whatever, let’s wake up the bread! 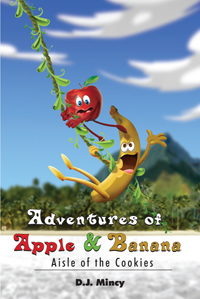 Yippee!” said a banana swinging on a makeshift rope and crashing into another tray of doughnuts and pies. At nightfall his redemption from darkness begins. 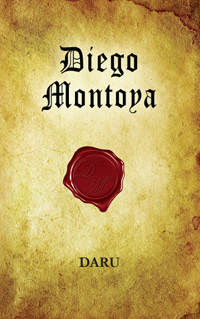 Born a slave Diego Montoya and his alter ego have roamed the earth for over two hundred years. He received his emancipation from slavery in the form of immortality. He hunts the scourges of humanity hoping to make amends for the many innocent lives he had taken. Diego is now ready to reveal his true self to the woman he loves but by doing so he will be breaking a rule from his kind and inviting the wrath of his maker. Four friends travel to a mysterious house. 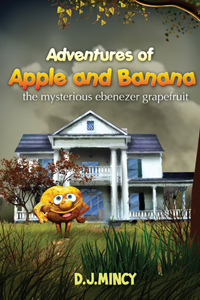 In this second adventure Apple and Banana along with their friends Peach and Orange go to the mysterious Ebenezer Grapefruit’s house. Once inside the mysterious house Ebenezer tells them of an incredible adventure that he and his friends went on over fifty years ago! Ebenezer’s adventure went terribly wrong and some of his friends disappeared on that fateful day. Ebenezer needs the four brave adventurers to help him locate his missing friends. Will the four friends accept Ebenezer’s request? Safe and Fresh, a small and strange village has a new resident: a young apple, named Edward Edison. Edward had been going to Safe and Fresh Elementary for two weeks. As he walked towards school his feet shuffled. His oversized backpack slowed him down, along with the dread of another day at school. Every day at school Edward was bullied. He wondered if he would ever fit in. One day a statue of a plum girl was stolen from school and Edward vowed to find it even though he did not realize the importance of the statue or how important he would become in the battle against a rising evil. Would Edwards’ quest to find the missing statue turn him from a school joke to a hero? The Deadline for the 2015 Writer’s Digest Self-Published Book Awards is This Friday! Don’t be left out! The deadline for the 2015 Writer’s Digest Self-Published Book Awards is this Friday, March 20, 2015. What do you get when you win? In addition to the ability to promote your work as an “award-winning” book, there are various awards provided by Writer’s Digest, including their grand prize: $8,000 in cash and a trip to New York City! 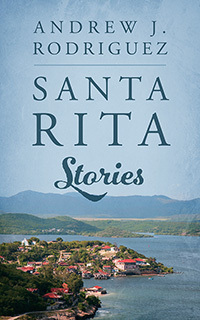 ONE GRAND PRIZE WINNER will be awarded $8,000 cash and promotion in Writer’s Digest The editors of Writer’s Digest will endorse and submit 10 copies of the Grand Prize-Winning book to major review houses such as The New York Times and The Washington Post. In addition, Book Marketing Works, LLC will provide a one-year membership in Publishers Marketing Association, guaranteed acceptance in a special-sales catalog providing national representation through 60,000 salespeople selling to non-bookstore markets, and much more! 9 FIRST-PLACE WINNERS will receive $1000 cash and promotion in Writer’s Digest. In addition, Book Marketing Works, LLC will provide a guaranteed review in Midwest Book Review, a one-year membership to Book Central Station, the eBook Beyond the Bookstore, a Publishers Weekly book by Brian Jud, and a $100 discount on a new website by NewMedia Website Design. 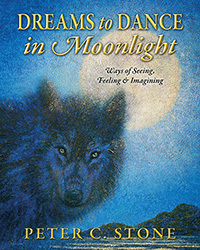 HONORABLE MENTION WINNERS will receive promotion at http://www.writersdigest.com and $50 worth of Writer’s Digest Books. We can handle all of the submission details for you, including: printing copies of your book for the judges, mailing your book to the judges, paying your award submission fee, and completing the entry forms for you. This all comes with our Writer’s Digest Self-Published Book Awards Submission option.